Skin disorders typically affect workers who come into contact with chemicals, enzymes, dust and other irritants in the workplace. However, all workers have a right to be protected from such exposure, whether it is through the correct implementation of risk assessments, the provision of personal protective equipment or other preventative measures. If you have developed a skin condition such as dermatitis or eczema as a result of your working conditions, talk to Thompsons Solicitors today about the possibility of obtaining financial redress. We are the leading personal injury firm in Scotland and have all the skills, authority and experience to bring your case to the best possible conclusion. Call 0800 0891 331 for information and advice. Regardless of whether the dermatitis has been caused by dyes, oils, plants or repeated exposure to water, it is possible for a worker to make a skin condition compensation claim if it can be proved that working conditions are behind the condition – settlements are likely to be higher where dermatitis has caused measurable financial loss or impacted upon earning ability. Depending on the severity of your symptoms and your recovery from them, you could expect to receive compensation of between £1,000 and £11,200. 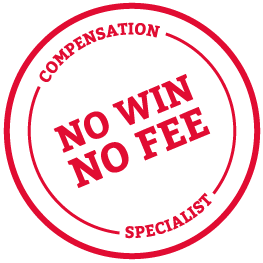 In cases where there are severe symptoms, awards of compensation up to as much as £52,000 have been made. Recent cases examples are given below. Jones v Mankoo 2013In this case the injured party suffered hair loss caused by alopecia which was brought on by the stress of a road traffic accident. Four days after the road traffic accident he hair began to fall out, she was diagnosed with alopecia and the stress of the accident was said to have triggered the alopecia. There was an area of around 5cm of thinning hair on her scalp. Her hair loss continued for a year. As a result she suffered loss of confidence and had to wear a wig. The amount awarded for pain and suffering caused by the alopecia was £2800. Rigby v MFI UK Ltd 2006In this case the injured party suffered an injury to his hands when solvent he was using during the course of his employment seeped through his gloves. The solvent came into contact with the skin of his hands. Within thirty minutes he suffered a burning sensation and redness on his hands. For three weeks his hands where painful, sore and blistered. The most serious consequences of the dermatitis he suffered began to ease within three weeks. The prognosis was that the dermatitis would resolve completely within three months. The amount awarded for pain and suffering by the court was £1500. The above cases are intended to serve only as a guide. The amount that you are awarded for your pain and suffering will depend on your particular injuries, how they have affected you and your recovery from them. Thompsons is the leading personal injury firm in Scotland and has all the skills, authority and experience to bring your case to the best possible conclusion. Call our freephone line today 0800 0891 331 for a detailed assessment of your case as well as invaluable information and advice.